I find this exciting because the President's family kind of plays the role of American royalty. I don't think Jenna's wedding will be reminiscent of Princess Diana's- Westminster Abbey and the ranch in Crawford don't seem to have a lot in common- but there still seems to be something kind of magical about it. 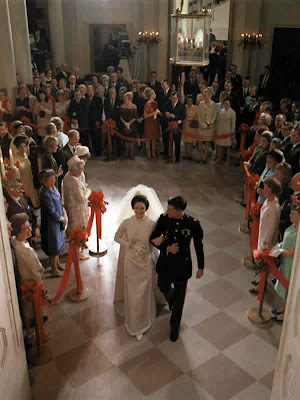 I did a little digging around for some other White House weddings and was pleased to find an entire website dedicated to first child nuptials. There haven't been that many of them, so we will be able to witness a little history come May. Did you know that Grover Cleveland was elected as a lifelong bachelor and got married while in the White House? It reminds me of that Michael Douglas and Annette Bening movie. Here is Luci Johnson at her 1966 wedding. 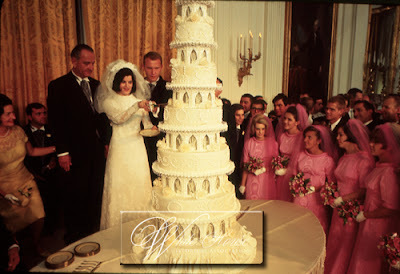 Although that tower of cake might be distracting, be sure to note the bridesmaids attire. Are they wearing bright pink veils? Lynda Bird Johnson caught her sister Luci's bouquet and was married the following year. I love this photo of her and her new husband. 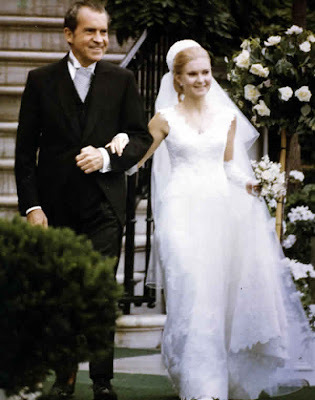 Miss Shortcake already wrote about Tricia Nixon's 1971 wedding. She apparently dropped the long sleeve tradition. 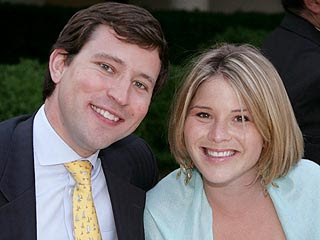 Although I bet the Bush ranch is gorgeous, it would have been fun to see photos of another wedding at the White House!